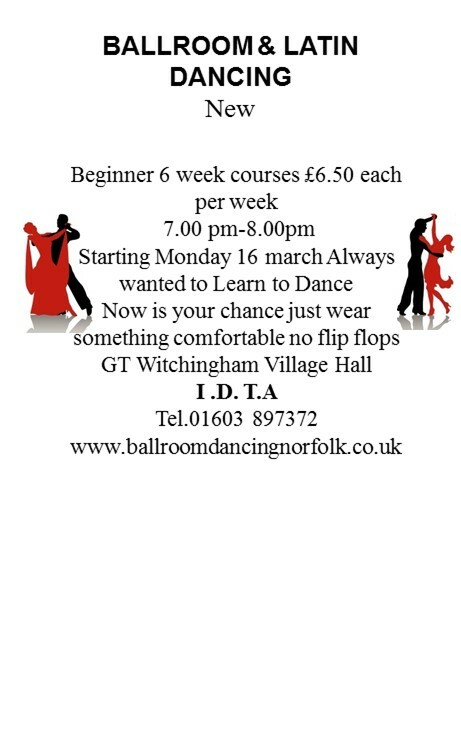 Ever fancied learning how to dance? Classes start on the 16th March. We have just completed our 6 weeks coarse and we have had a great time. Don’t think we’re ready for strictly come dancing yet! But we are continuing are dance classes with Sally. It would be great to see some new faces, don’t be shy. There is still time for you to come along and join the class.